The Barbour Design annual holiday mailing went out… this year’s was geared towards the new year. 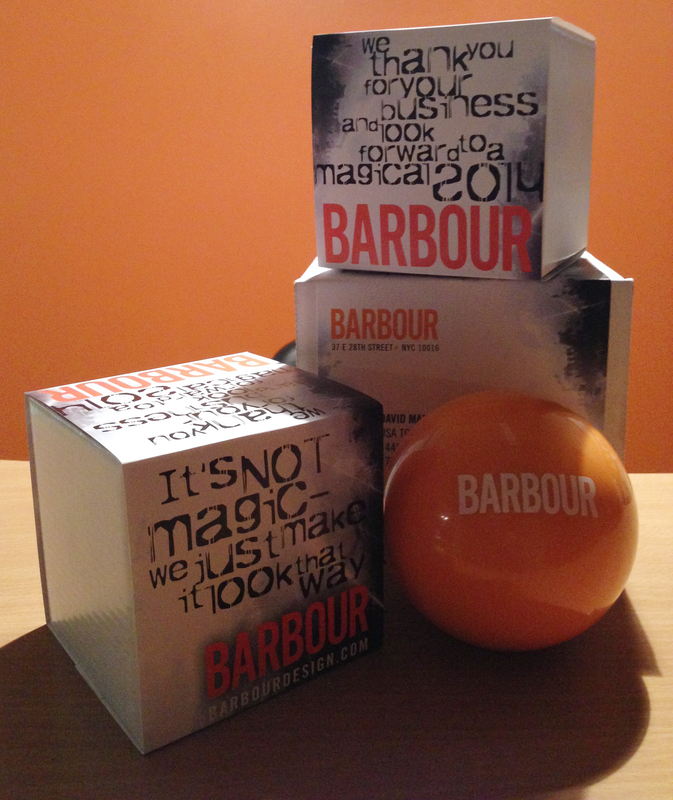 Orange, Barbour-branded magic 8 balls were sent out to all clients and several perspective clients. Nice boxes and beauty fil colors! Good job!